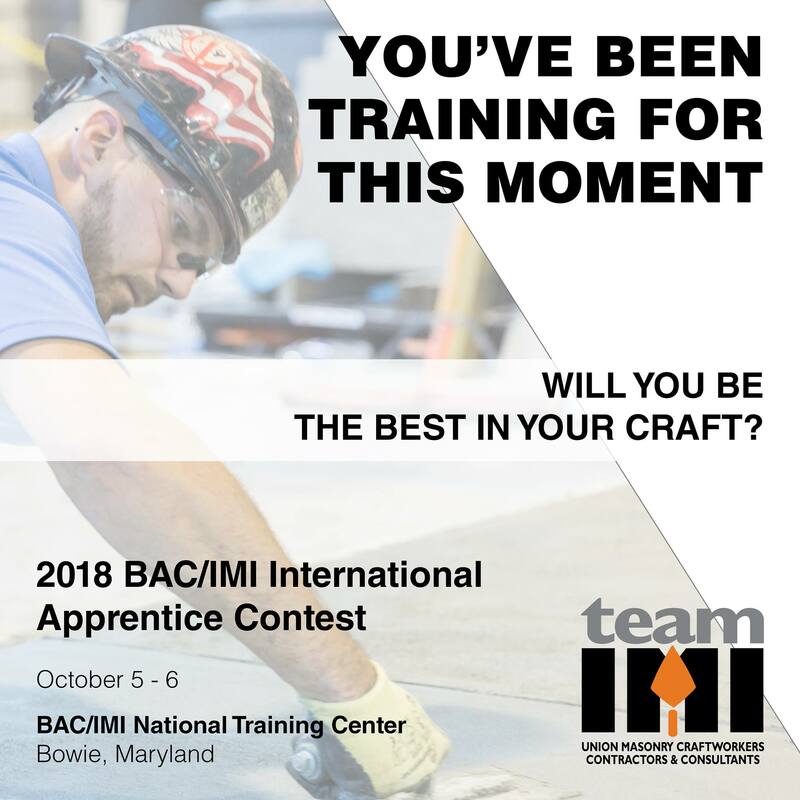 Skilled apprentices from the International Union of Bricklayers and Allied Craftworkers’ (BACs’) will vie for the title of International Champion in their craft at the 2018 BAC/IMI International Apprentice Contest, October 5-7. Over 80 apprentices from 36 BAC Locals around the U.S. and Canada qualified for the contest after placing in regional competitions, showcasing the skills they have learned in through the union's apprenticeship training programs. 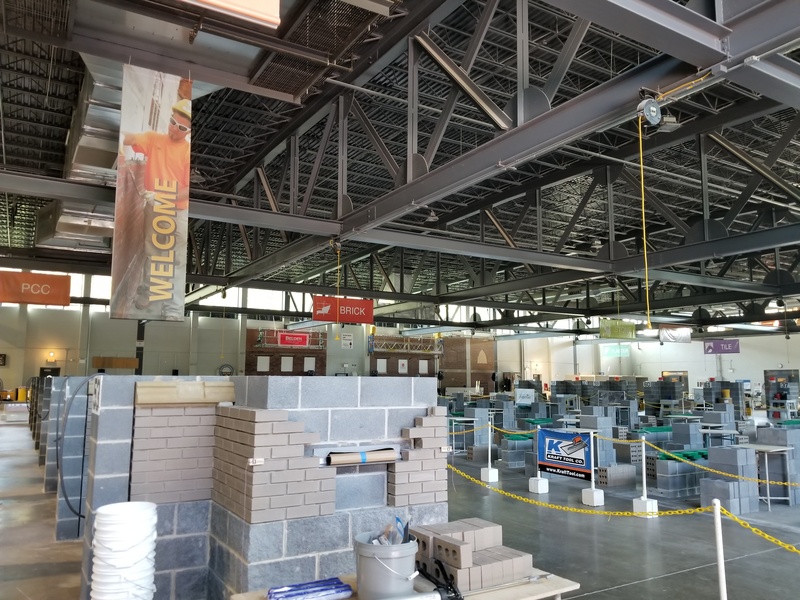 To win at the international level, apprentices have to demonstrate mastery of their craft through quality completion of hands-on building challenges and written tests. First, second, and third prize will be awarded in 8 categories: brick, cement, tile, marble, terrazzo, plaster, pointing-cleaning-caulking/restoration, and stone. Join us in congratulating the 2018 BAC/IMI International Apprentice Contest finalists! Check back here for updates during the competition, or follow along on social media at #ApprenticeContest. Good luck to all our apprentices – the future of our union!